Salford Red Devils are continually eager to show their support to the local community, particularly encouraging the development and growth of local young people. 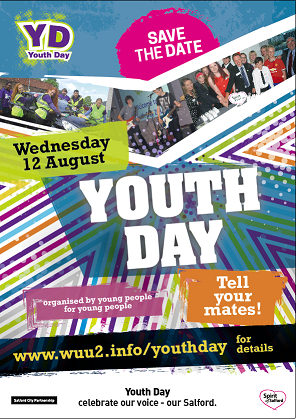 Next Wednesday, August 12th, is Salford Youth Day. This is a day to celebrate local youths and their involvement within our thriving community. As part of the Salford Red Devils work, The Foundation is involved with a range of projects with young people aged 14-25. 'Big Hits' is an initiative which sees young people get the guidance and confidence they need to tackle the workplace. We offer free courses in CV writing, interview techniques, health & safety training and general job readiness. This promotes a positive outlook on the workplace and helps local youths to feel comfortable when finding a job. 'Sporting Foundations For Life' (SF4L) focuses on the involvement and participation within sport for local young people, particularly in Salford and Trafford. This revolves around all different types of sport in a fun and friendly environment, aimed at people aged 14-25 years old. We recognise the importance of young people in our community and are proud to say we continue our work in the Salford area. For anymore information, please telephone 0161 786 1591. For updates and latest news about us, please follow @SRDFoundation on Twitter.